I really enjoy AttendanceBot. As a team manager, I have found it very useful to use AttendanceBot to monitor time tracking in general as well as work on specific projects. It is easy to use, user-friendly, and has an attractive interface. I think its ease and utility are its most beneficial elements. I also like the reminders tool and the fact that you don't have to install any new software. Editing time logs can cause some difficulties, so you need to be careful to enter time accurately and consistently. You also have to contact support sometimes for certain calendar issues, instead of being able to do it yourself. I've also noticed the FAQ needs to be updated. I use this primarily for attendance tracking and monitoring. It's been extremely beneficial, especially for allowing employees to track their time. We also use slack as an office, and it integrates very seamlessly. I love the wide functionality that attendanceBot provides you with. Being able to track all types of attendance from being sick to being stuck in traffic and then recording all that information is great. Then notifying the required people about your presance just brings everyone in the loop allowing for better team management on tasks. I do not like the fact that the the bot is paid. Yes you do get a free 2 week trial but if you are a student working in a team you should atleast get a student subscription to the bot. So we are currently working on an industry project where we are developing a footage request system for a surveillance company. Now managing 5 members on their wearabouts may get out of hand, so having this bot to update if we are going to be late for any scheduled meetings or desired tasks that need to be completed is key. We are then able to make changes and work around that member. "Attendancebot nice but can be improve"
I like the reminders slack sends so I don't forget to answer anything. Sometimes I forget to check slack and I miss stuff. It provides alignment within the company. Makes multiple tasks easy. The way you can integrate the calendar with slack saves a lot of time. The customer support team also makes the process flow easily. 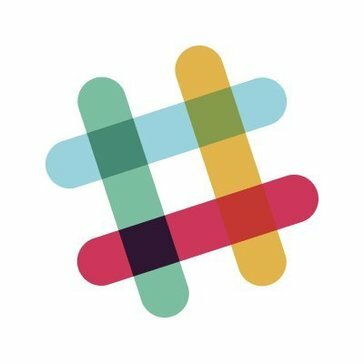 I wish that slack would've made this process more known when creating an account. I would have started with this organization from the start. I realized that time is easier managed with this site. "I love this app! " It makes everybody’s lives easier and a non stressful environment. I wish it was a little more adnavced with the calendars but nothing else to complain out. My work loves it. Attendance bot has allowed for more time to be spent doing other things that are beneficial. Taking time to make work schedules and organize all the request was a waste. * We monitor all AttendanceBot reviews to prevent fraudulent reviews and keep review quality high. We do not post reviews by company employees or direct competitors. Validated reviews require the user to submit a screenshot of the product containing their user ID, in order to verify a user is an actual user of the product. Hi there! Are you looking to implement a solution like AttendanceBot?